Three Jewish shoppers were ambushed by a group of men, who threw gas canisters at them while shouting, “Hitler is on the way to you,” it has emerged. 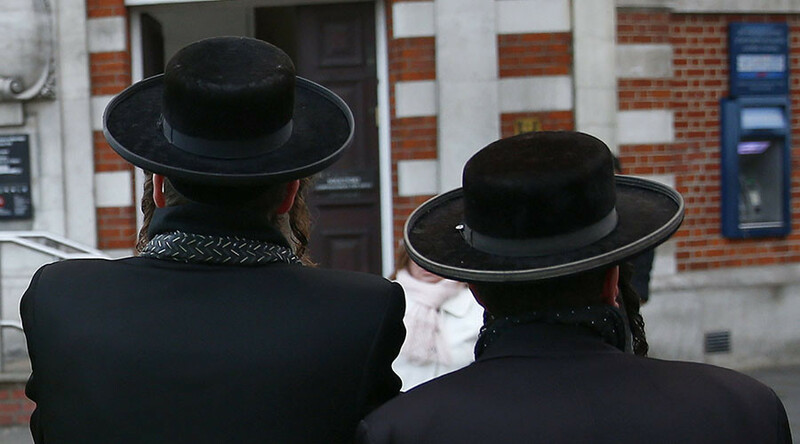 Two men and one woman from the Orthodox Jewish community were targeted in an anti-Semitic attack, which occurred in the Tottenham area of London on Wednesday at around 19.45 GMT. Neighborhood watch group Shomrim, who witnessed the incident, said three men in a truck threw metal canisters at their victims. The trio shouted: “Hitler is on the way to you, Heil Hitler, Heil Hitler, Heil Hitler,” Shomrin told the Daily Mirror. A volunteer with the group, Michael Blayer, said he is convinced the shoppers were targeted because of their religion. “The verbal abuse was disgusting, and small objects were thrown towards the victims, making them fear for their immediate safety,” he told the Guardian. A spokesperson for Scotland Yard confirmed the incident has been reported to the Metropolitan Police. “Police were called by a male victim who alleged he was the victim of an anti-Semitic remark,” the spokesperson said. Campaign Against Anti-Semitism Director of Communications Jonathan Sacerdoti said: “This disturbing incident is a reminder of the abuse that many Jewish people experience all too often. “It is vital that victims report all anti-Semitic attacks or incidents whenever they happen, and that the police take every report seriously, investigating and charging those responsible wherever possible,” he told the Daily Mirror. Police figures released in December show Jewish hate crimes in London have rocketed by 61 percent over the last year. The findings published on Wednesday show a total of 483 anti-Semitic crimes were committed between November 2014 and November 2015. This marks a significant rise on the 299 hate crimes recorded during the same period the previous year. The south London borough of Lambeth saw a 200-percent rise in Jewish hate crimes, while Westminster counted a 178-percent increase. John Mann MP has called on the government to introduce new legislation to clamp down on hate speech.